Want this item tomorrow, Wednesday 24th April? Order within the next 10 hrs 59 mins and choose Next Day Delivery during checkout. adidas Originals Monogram Full Zip Hoodie In Medium Grey Heather, A full zip opening at the neck with a large hood featuring woven drawstrings. Ribbed cuffs on the long sleeves and a stretch ribbed waistband. Two pouch pockets at the waist with the signature adidas Three Stripes featured along each sleeve in white and the signature Adidas Trefoil logo is embroidered on the left of the chest in white. Large printed Adidas monogram logo design on the reverse of the body and sleeves in white. 100% Cotton. 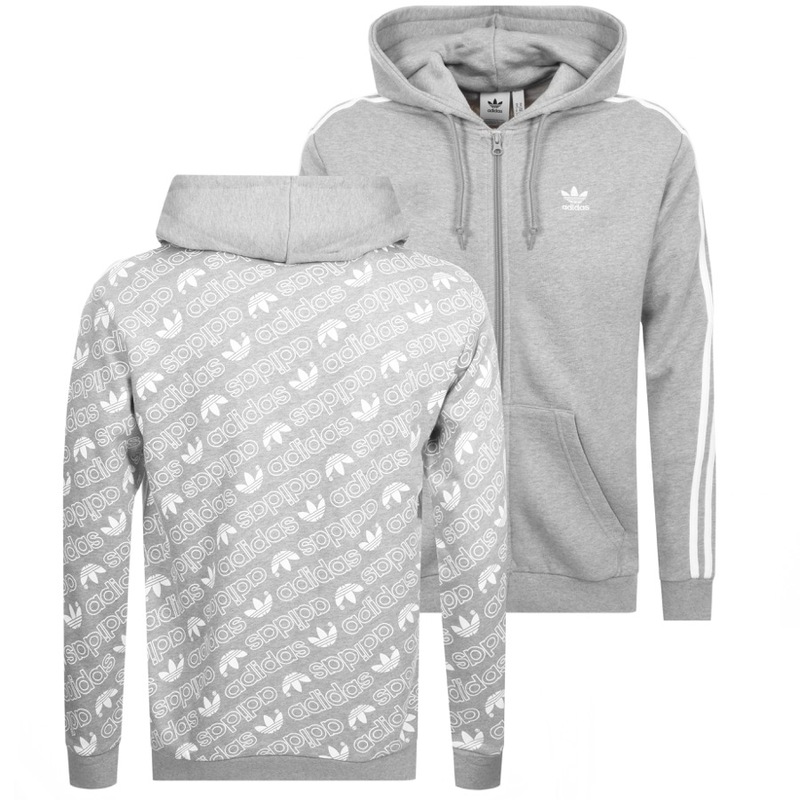 Part Of The Huge Range Of Adidas Track Tops And Hoodies Live Online.